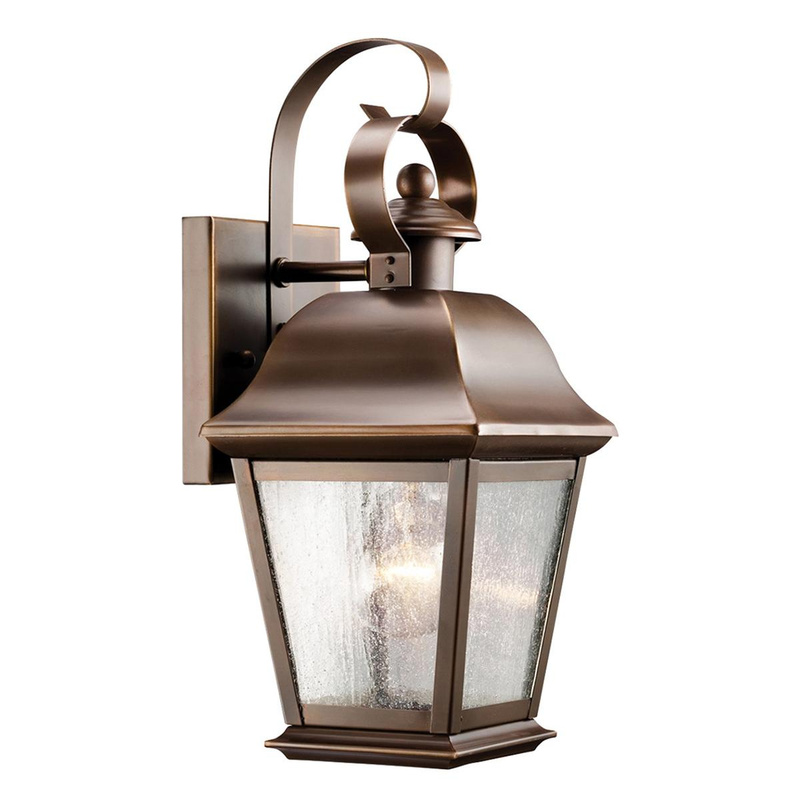 Kichler Mount Vernon Collection 1-Light outdoor wall light in olde bronze finish, features solid brass construction. A clear seeded glass shade brings elegance to the home. Light uses one 100-Watt A-19 incandescent or hybrid 23 - 30-Watt CFL lamp. Medium socket lamp has voltage rating of 120-Volts. Lamp has color temperature rating of 3000K to ensure optimum light level in the surrounding. It measures 5.5-Inch x 12.5-Inch. Light firmly attaches to the ceiling via backplate measuring 4.5-Inch x 5-Inch. Light is UL listed.